Published books by authors affiliated with The Institute of Evangelism. Two important publications this summer have the name of Stiller attached to them. 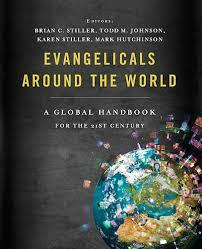 Brian and Karen are among the editors for Evangelicals around the World: A Global Handbook for the 21st Century (Thomas Nelson 2015). Whether or not you consider yourself an evangelical, and however you define the term, this is an important movement on the world scene, and this is a unique, comprehensive and up-to-date resource for understanding it. Debra Fieguth, freelance writer in Kingston, Ontario: Introduction to Ministry Profiles. My own contribution is entitled Evangelicals in Mainline Denominations. To read a sample, click here. Did you know that more young people in Canada self-identify as Muslim than as Anglican, United and Baptist combined? 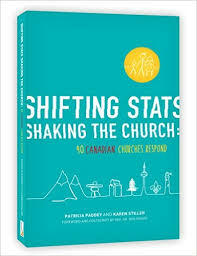 That is one of the startling facts in a new book that describes how forty Canadian churches are flexing to meet such challenges. A Mennonite church in Winnipeg that provides housing and community for people with mental health challenges. A Christian Reformed church in Lacombe (AB) that gives two “Hands and Feet” Sundays a year to service projects in their community. A Presbyterian church in Ottawa whose youth group meets monthly for friendship and fun with young people on the autism spectrum. A Pentecostal church in Whitehorse that has welcomed Filipinos. A Roman Catholic church in Halifax growing its youth ministry through Youth Alpha. One unusual and helpful feature of this book is the “Story Matrix” (aka the indices) at the back, where the stories are cross-referenced. You can check what denomination each church belongs to: there are twenty-seven in all. Which of your tribe made the cut? You can also look up what part of the country each is in: the answers range from Gander NF to Victoria BC and Nunavut NU. Maybe some are your neighbours. And, if you are interested in what different kinds of ministry are being tackled, that’s there too. In some ways the most interesting index, for me anyway, is where you can check how big each church is. At least once, I thought as I read, “That must be a really big church to have a ministry like that.” But when I looked in the index, it really wasn’t. Wow. Indeed, almost half of the forty churches number under 200. You can download free sample chapters of Shifting Stats here. good idea: In a single sentence, what is this book about? John Bowen: It’s a book of essays about the future of the church and its mission in Canada in the 21st century. The title is Green Shoots out of Dry Ground: Growing a New Future for the Church in Canada, and I am the editor. gi: What gave you the idea for the book? JB: It was inspired in part by the Church of England’s Mission Shaped Church report, which came out in 2004. Church reports are not usually best sellers, but this was an exception. In fact, it has so far sold over 25,000 copies and become one of the major catalysts for the Fresh Expressions movement around the world. However, I found that, as people in Canada were reading Mission Shaped Church, their reaction was often, “There’s great stuff in here, but it’s so English! Isn’t there something like this for Canada?” And the whole point of the Fresh Expressions movement is to think like missionaries, and to start new Christian communities which are culturally appropriate. So that seemed a very valid concern. Then, in the first half of 2012, I had a sabbatical. In the previous year, when I was thinking about a suitable sabbatical project, I began to wonder about the possibility of writing a similar book for Canada. But Mission Shaped Church was written by a committee, not by an individual, and that seemed to be a sensible approach. The book would reach a wider audience if all (or many) of those audiences were represented in the book. So, with lots of help, I came up with a list of chapters and authors, and got to work. By the end of September 2012, the complete manuscript was in the hands of the publisher, and by some magic I do not understand they got it out in exactly four months, just in time for the Vital Church Planting conference in Toronto at the end of January. gi: So what makes this book uniquely Canadian, eh? First, I thought it was important that the book should represent the length and breadth of the country. So you will find that the authors and the stories come from Vancouver and St John’s, and many points in between, such as Edmonton, Winnipeg, Montreal, Fredericton, and Toronto. The North is represented by Mark McDonald, Canada’s National Indigenous Bishop. Secondly, different chapters discuss issues that are uniquely Canadian, or at least ones that take on a distinctive shape in Canada: our cities and our vast rural areas; what we can learn from new Canadian church planters (one Nigerian, one Philippino); what aboriginal Christians have to teach us about mission; where Canada’s young people are in relation to faith and church; and even what mission and ecology might mean for Canada. It also seemed important that the book represent different denominations in Canada. As a result, the authors are (in alphabetical order) Anglican, Baptist, independent, Lutheran and United; some of the stories in the book also represent the Christian Reformed and Mennonite traditions. The scope would have been wider, but a dozen potential authors had to turn down my invitation for one reason or another. gi: And what’s the significance of the title? JB: I am struck by how often Jesus uses imagery of natural growth. As I look across the country, in many ways, this does feel like a “dry” time for many churches—a time when nourishment is hard to come by and there is little growth as a result. But at the same time, there are many “green shoots” springing up in the most surprising ways and places. Once I had decided to use that imagery, it was easy enough to make use of it in different ways throughout the book. There are three sections. The first one, “The Lay of the Land,” sets the stage for what follows by offering a theology of mission, an overview of Canadian cultures today, and a personal reminiscence of church planting in Toronto in the 1950’s. The largest section, “Nursery Gardens,” contains chapters on what is growing in the various “fields” of Canadian mission. This is where the chapters occur on our cities, our rural areas, new Canadian churches, First Nations, youth, and the environment. The final section, “A Garden that will Last,” suggests what is needed for mission to bring about sustained and lasting change. The writers discuss what kind of spirituality is needed and what kind of leadership we should look for; how we exercise missional discernment in our communities; how denominations might be transformed for mission; and what resources are available to maintain healthy growth. gi: So is this just a book of theory? JB: No. First of all, most of the authors are practitioners of mission, who write out of their own experience. But then, sprinkled throughout the book are ten stories—examples of “Green Shoots”—of innovative ministries, creative church plants, and fresh expressions of church from across the country and across the spread of denominations, written by Canadian journalists Diana Swift and Kirstin Jenkins. I suspect that, for some readers, these will be the highlight of the book! gi: How do you expect readers to respond to this book? My prayer is that readers will find hope in the book: God has not given up on the church in Canada. There is a future, even if we do not know much about what it will look like. Secondly, I hope readers will find their own vision rekindled, that they will feel empowered to “dream dreams” about how the mission of God might be freshly expressed in this country. And, thirdly, I hope that it might help to create a network of mission-minded people who will find common cause to serve God in their local communities. Some chapters will offer immense and surprising hope, while others will introduce the troubling voice that suggests we need to rethink some of our longstanding opinions. I find myself stretched and chastened, encouraged and shaken, affirmed and challenged, intrigued, and slightly unnerved by what I have read here. I have to confess, that’s how I felt myself as I saw the book coming together. And I suspect others will feel the same. gi: One final question—and I hope it’s not too personal. Doesn’t it feel a little strange to be interviewing yourself? JB: Not at all. Most people talk to themselves from time to time. But what happens to those young people in the years that follow? 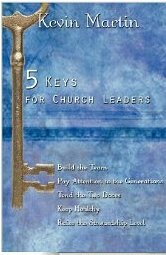 Do they fulfill their potential for church leadership. If so, why? And if not, why not? For many years, my wife and I worked in a Leadership Training Program at Ontario Pioneer Camp, an interdenominational camp in Ontario, Canada. Over that time, we worked with around a total of over 1,200 young people. In 2003, I had the opportunity of a sabbatical from my teaching, and decided to try and find out what had happened to this particular group of lively, committed Christian teenagers. Where were they now, in terms of faith and church involvement? And what might we learn from them about what keeps them in the faith—or drives them away? “You still call yourself a Christian and are involved in church.” There were 251 who chose this survey, 75% of the respondents. I refer to these as Loyal Believers.Roughly one third of these (eighty-three), although they are active Christians today, had a time of six months or more when they were away from church and/or faith. This is a distinctive group, so I call them Returned Believers. “You would no longer call yourself a Christian and have dropped out of church life.” There were fourteen who chose this survey, 4% of respondents. I refer to these as Former Believers. “You still consider yourself a Christian but have more or less dropped out of church.” There were fifty-seven who chose this survey, or 17% of respondents. I call these Absent Believers. The first surprise was why those who were continuing in faith and church involvement did so. I had assumed that friends would be the primary influence. Well, friends came high on the list, at 80.9%, but two factors were rated higher. Mentors rated fractionally higher, at 82.3%. But topping the list was (can you guess?) “my relationship God” at 89%. It’s obvious, I suppose, as soon as you say it: people continue in their Christian faith because of the reality of God.Not only that, but I was quite startled to find that, in response after response, people spontaneously stated their faith in strong, personal and passionate ways. They testified to their love for God, their dependence on God, their gratitude to God, and so on. These are clearly people who are not involved in church and faith out of a sense of obligation. They are involved because they feel strongly about their faith. I thought that the main factor causing Former Believers to leave faith would be suffering (what I called a “catastrophe,” such as the loss of a child, parent, or partner). Since only fourteen Former Believers responded, I cannot draw sweeping conclusions, but certainly among those fourteen the problem of suffering received hardly a mention.What was surprising however, was the string of stories told by Loyal Believers about their suffering, including the untimely death of children and parents, and chronic debilitating illnesses. For these people, although the suffering was sometimes unbearable, it did not drive them away from faith and church, but instead their faith gave them the resources to cope with it and to survive. It is remarkable how many people have changed denomination since the time they were teenagers. Three-quarters of respondents have left the denomination in which they began life. The book looks in some detail at what these changes are and why they take place, but as a general rule many would sympathize with the Absent Believer who wrote: I don’t subscribe to denominations, but rather, prefer to find a specific church with a pastor and congregation that I relate to.This research confirms what others have found, that changing denominations is a very common thing these days, although, as sociologist Reg Bibby has pointed out, the switching is often within church “families”—that is, from one conservative church to another, or from one mainline church to another. Many, but by no means all, of the changes among my respondents confirm this. Many of the respondents, whichever category they put themselves in, have experienced difficulties with church and with faith: many speak of finding “hypocrisy” in the church, having values that differ from those of their church, encountering intellectual difficulties, and so on. Not only has this driven many (Absent Believers and Returned Believers in particular) away from church: it is also the thing that most often challenges the faith even of Loyal Believers! This theme of what we might call “the disappointing church” crops us frequently in the responses. Largely because of this, fully one third of those presently involved in church were absent from church (less often from faith) for a period of six months or more, the longest “absence” being one of seven years. However, the range of reasons they leave, and the reasons they later return, are varied and (particularly in the reasons they return) often startling. This reinforces the fact that a number of people who are presently Absent Believers will likely return to church at some point. But, equally certain, some of those who are presently Loyal Believers will move away from church at some point. Of those, some, though not all, will return later. 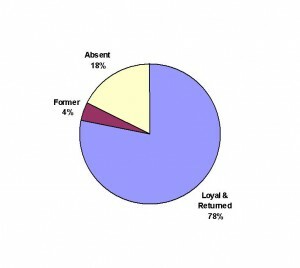 And (according to other people’s research), some will leave and return more than once. So what might we learn from all this? a) Do our youth groups teach their members what it means to have a meaningful relationship with God which will last and grow over the years? Do we dare to teach them spiritual disciplines, or do we assume these would be beyond the average teenager? b) Can we help young people, when they move to another town or city, to find a suitable church? Obviously it is not enough to suggest that Presbyterians (for example) simply look for another Presbyterian church. If they are leaving a family-oriented evangelical church, they are highly unlikely to settle in an ageing, theologically liberal congregation (or vice versa), even if both are Presbyterian. Are we prepared to think “kingdom” more than “denomination”? that worship (whatever form it takes) should be done with excellence and should include thoughtful preaching. In some ways, all they are asking is that churches should act like churches. After all, these criteria are pretty basic for any church. It seems as though, if we want young people to find churches credible, the best thing we can do is actually very simple (though deeply challenging): to take seriously our commitment to be a community of followers of Jesus. Is that too much for them to ask? 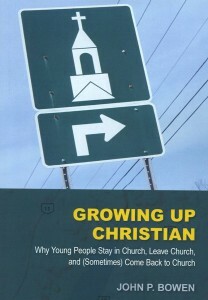 Growing up Christian: Why Young People Stay in Church, Leave Church and (Sometimes) Come Back to Church is published by Regent College Publishing (2010), and is available online from Amazon here or at other bookstores. Percy helps congregations answer tough, critical, and strategic questions about their ministry and mission. How do we serve the member in the pew, the casual visitor, family and friends of the congregants, and the neighbourhood beyond? 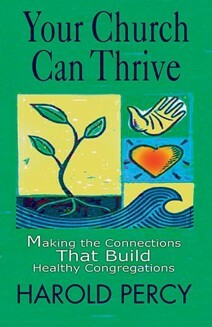 These are where connections that build healthy congregations are make and nurtured. What is evangelism? Why is it important? 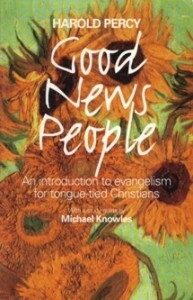 This book shows how congregations and individuals can join in this essential and joyful ministry. A study guide helps readers to reflect on their own experience and share effectively in the work of evangelism. Many people love the Narnia stories. However, not all readers know the deep spirituality that underlies them. In some ways, the stories mirror Lewis’ own wrestling with his spiritual longings, and seek to help others on the same journey. He wants us to feel, as he himself came to feel, that what we long for at the deepest level of our being is to be part of a great story, indeed The Great Story, in which the stories of Narnia and the story of our world and the story of our lives find their true meaning.